An impending vote on a ballot initiative and an agreement in principle between opposing parties on possible legislation have medical cannabis at the forefront of political conversations in Utah like never before. That makes it one of the most important times to fully understand what this debate is—and isn't—about, and how it affects the lives of thousands of Utah residents. The inaugural Utah Cann Conference (sponsored by City Weekly) marks an effort to educate the public ahead of the November election, and to dispel myths and fear-mongering surrounding the use of cannabinoids completely distinct from recreational marijuana usage. While there will be a display floor with vendors and representatives of various organizations, the focus is on educating attendees on the subject: medical experts speaking on the science behind CBD; advocates discussing the social and political challenges of promoting medical cannabis and patients telling their personal stories about the way it changed their lives. Two resident theater companies at the Rose Wagner Center open their seasons this week with plays speaking to some of the most pressing social issues in Utah. Plan B Theatre's opening show, Good Standing, focuses on the role of queer folks within The Church of Jesus Christ of Latter-day Saints. A gay member of the church faces the possibility of excommunication the week after he marries the man he loves. This one-man play features Austin Archer performing 16 roles ranging from the newlywed to the entire Church High Council. In addition to continuing Plan B's tradition of producing LGBTQ-themed work each season, the Oct. 17 show was coupled with a fundraiser for Encircle, a local LGBTQ family and youth resource center. 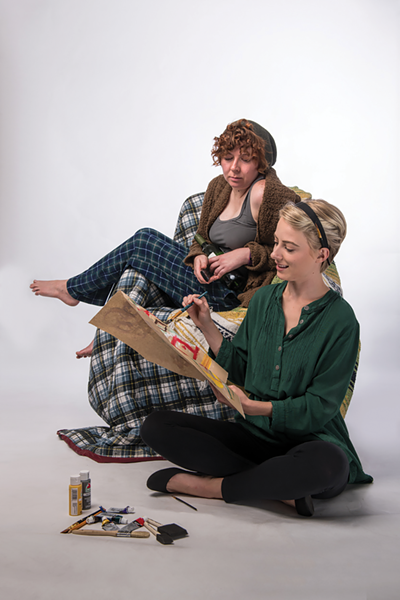 Pygmalion Theatre Co.'s Tigers Be Still (pictured), meanwhile, addresses mental illness and grief. But don't worry: It's a comedy. 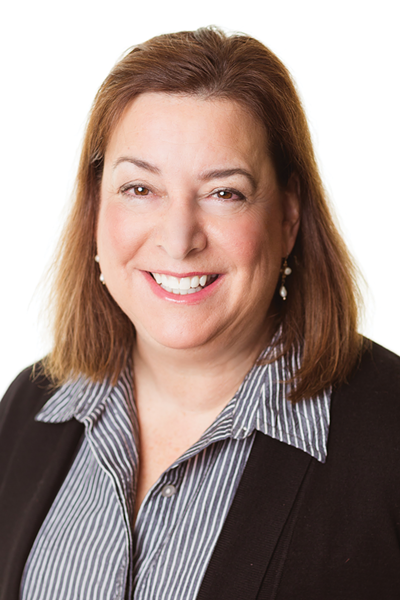 Sherry Wickman, recently graduated with a master's in art therapy, attempts to start her life after school amid family mental health issues, work struggles and a literal tiger escaping from the zoo. In 2005, Markus Zusak's The Book Thief captured the minds and imaginations of readers all over the world. Narrated by Death, it detailed the horrors of the Nazi regime in World War II Germany, and followed the exploits of a girl named Liesel. The novel won the Michael L. Printz and Australia's Kathleen Mitchell awards, among other honors. 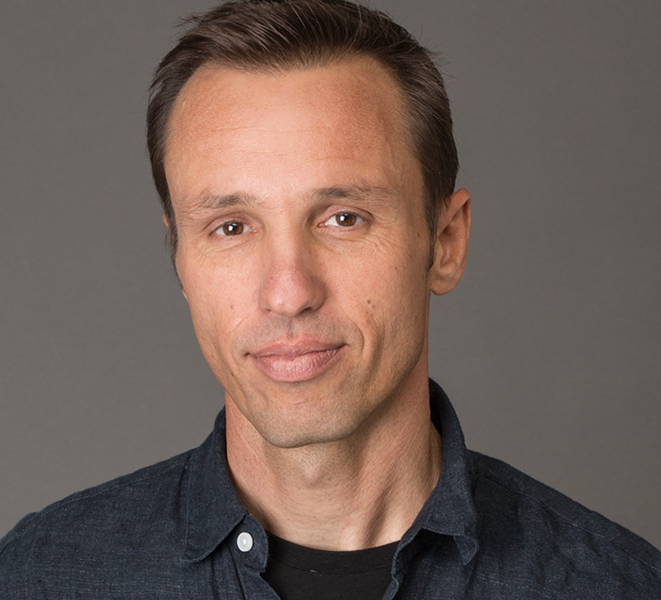 Thirteen years have passed since its publication, but Zusak (pictured) has released a new novel, Bridge of Clay, which he discusses during a visit to Salt Lake City. If you read The Book Thief, you know the lyrical beauty Zusak is capable of filling pages with—the type that you can't help but keep reading, the type that feels as simple as breathing, as necessary as air. It's not even a matter of not being able to put the book down; you soon forget you're holding a book at all. 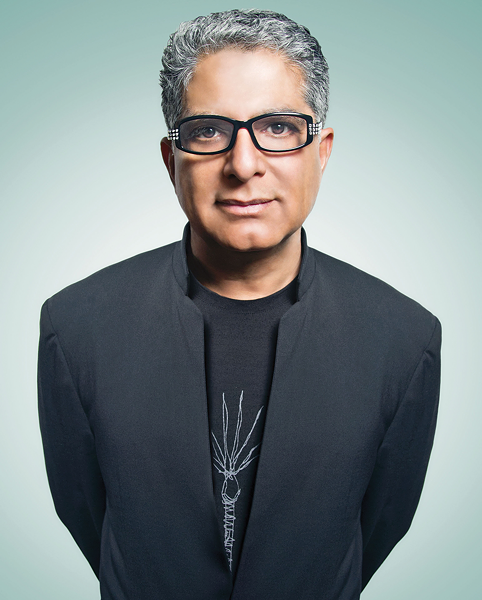 Many people consider Deepak Chopra a spiritual prophet for our times—and indeed, in today's turbulent circumstances, his wisdom is needed more than ever. As a lauded lecturer, teacher, researcher and clinician, he's become a guide and guru for those seeking solace from an unsettling sense of despair. His advice resonates: "Every time you are tempted to react in the same old way, ask if you want to be a prisoner of the past or a pioneer of the future." No mere pie-in-the-sky philosopher, Chopra (pictured) supports his teachings with an impressive list of credentials. Founder of The Chopra Foundation andco-founder of The Chopra Center for Wellbeing, he's authored 85 books, which have been translated into 43 languages, many of them New York Times bestsellers. In addition, he's a board-certified clinician specializing in internal medicine, endocrinology and metabolism, a fellow in the American College of Physicians, a professor at the University of California San Diego Medical School and a member of the American Association of Clinical Endocrinologists. That list doesn't include his many honorariums, innovative programs, adjunct teaching positions and consulting credits. The Huffington Post global internet survey ranked him as the No. 17 most influential thinker in the world, and No. 1 when referring to medicine. Likewise, Time magazine described him as "one of the top 100 heroes and icons of the century."